Zhao Wu was born in China and grew up in Guangzhou City. He received his BFA from Guangzhou Academy of Fine Art China and his MFA from Academy of Art University, San Francisco. Since 1983, he has been exhibiting his work in Asia, Europe, the United States and other countries around the world. He has won numerous awards, including the Merit Award at the 6th National Art Exhibition in Beijing, China, the Gustafson Fund Award, from the National Oil and Acrylic Painter’s Society, 1st place in the 9th Biennial National Figure Painting and Drawing Exhibition, from Mendocino Art center, California; Second Prize Winner in International Artist magazine (Aug/Sept 2001), grand prize winner in International Artist magazine (Aug/Sept 2005); the Daler-Rowney Award from the Oil Painters of America (2000) and the Art Distributor Award from the Oil Painters of America (2005). Long active as both an artist and a teacher, he served as a professor of painting at the Guangzhou Academy of Fine Art and is currently an instructor of painting at Academy of Art University. 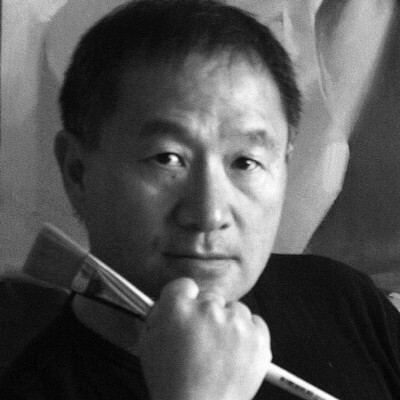 His works have been featured in many publications, including two drawing books of Zhao Wu and two painting books of Zhao Wu; International Artist magazine (April/May 2003, August/September 2005), Art of the West magazine (September/October 2004, July/August 2007), Art Talk Magazine (February 2005), and American Art Collector (January 2007).